From 3 until 8 February Annet Gelink Gallery will participate for the second time in VIP Art Fair. This fair takes place exclusively online. VIP opens up the traditional model of the art fair to a broader audience, simplifying the contact between the engaged art community and galleries from all over the world. Following our participation in VIP Art Fair we are proud to present the group show VIP Showroom. For VIP Showroom we brought together physically the highlights from our presentation at the online fair. With works by Yael Bartana, Anya Gallaccio, Ryan Gander, Roger Hiorns, Kiki Lamers, David Maljkovic, Wilfredo Prieto and Glenn Sorensen, VIP Showroom offers the Dutch visitors of VIP Art Fair the possibility to see the artworks in real life. The work Accidental Location/Perfect Registration (2010) by Ryan Gander (1976, Chester) in the front room consists of a partition wall with 9 back lit display cases built inset into it. The objects that were part of a private collection, but they have been stolen and replaced with a sand bag represented by their weight. 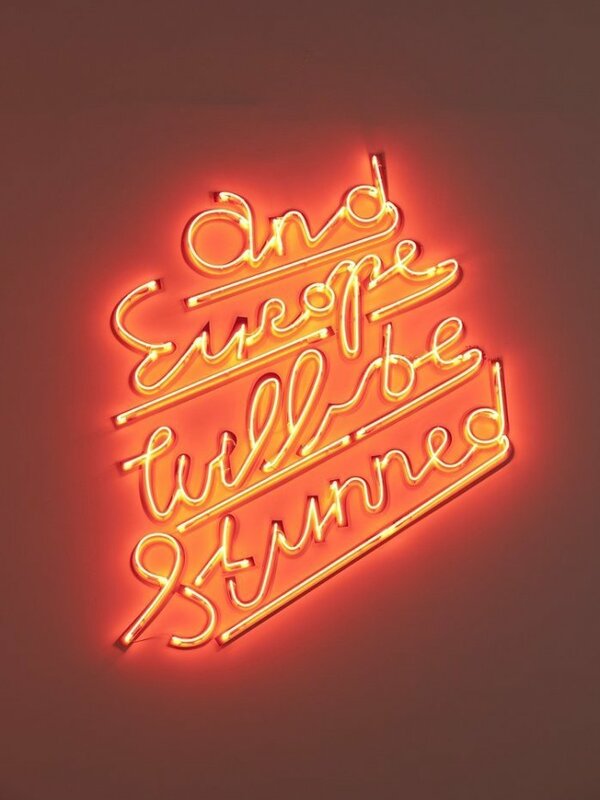 Yael Bartana's (1970, Kfar-Yehezkel) neon work And Europe Will Be Stunned (2010) displays in bright red neon letters the provocative sentence of the title, that is related to Bartana's film trilogy … and Europe will be stunned (2007-'11). The three films and the neon were shown together at the Polish Pavilion at the Venice Biennial in 2011, for which Bartana was invited as the first non-Polish artist. By Anya Gallaccio (1963, Paisley) we're showing a bronze sculpture entitled forever changes (2011). The boulder Gallaccio selected for forever changes made the far crossing from the South-West of the United States to Amsterdam. 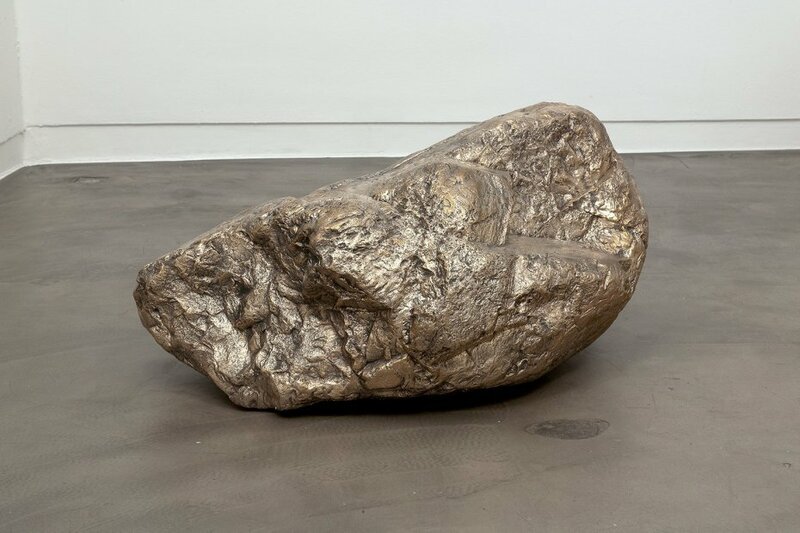 The bronze boulder lies on the gallery floor as a silent memory of the Californian desert landscape. Glenn Sorensen (1968, Sydney) shows a new painting - Maria (2011-'12) - in which a female figure stands next to a house at a garden fence. The strong contrast in the painting between light and dark recalls an intense atmosphere of anticipation and isolation. One could regard his paintings as studies of objects and people who seem to be frozen in time. By David Maljkovic (1973, Rijeka) we are showing Sources in the air (2011), a large, empty display case with on the outside five works on canvas. The design of the display case in this installation is inspired by the Yugoslavian Pavilion designed by Vjenceskav Richter for the 1958 World's Fair held in Brussels. 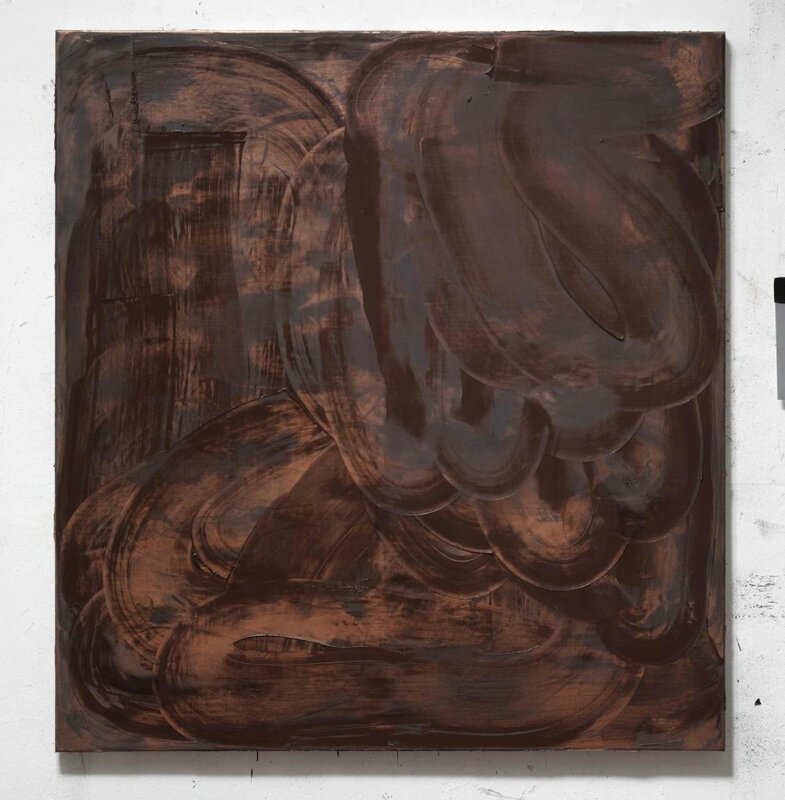 Kiki Lamers (1964, Nijmegen) new paintings are, as opposed to her well known figurative portraits and still lives, abstract and focussed on the material. 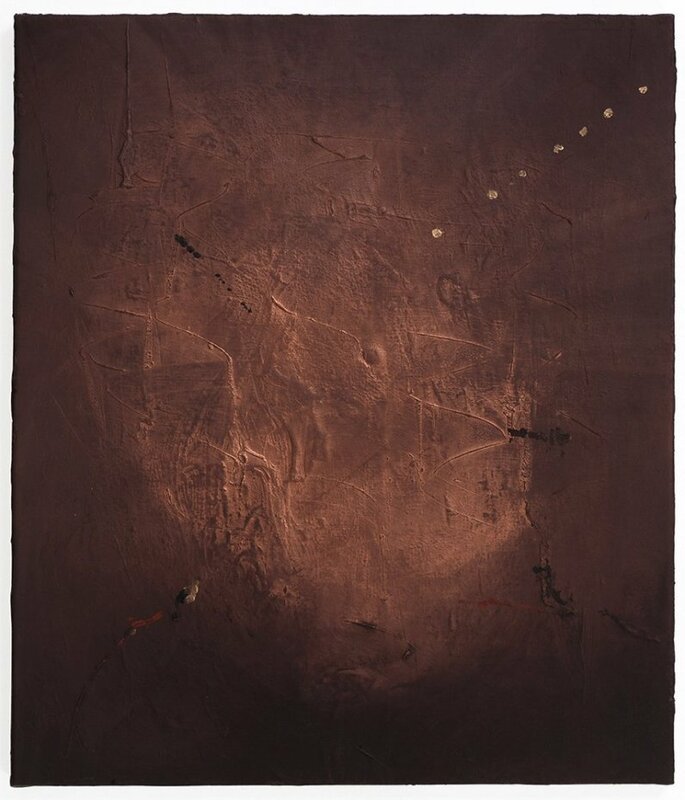 In Where grief slumbers (2011) next to dark earth tones one can see shimmering bronze and warm colours. 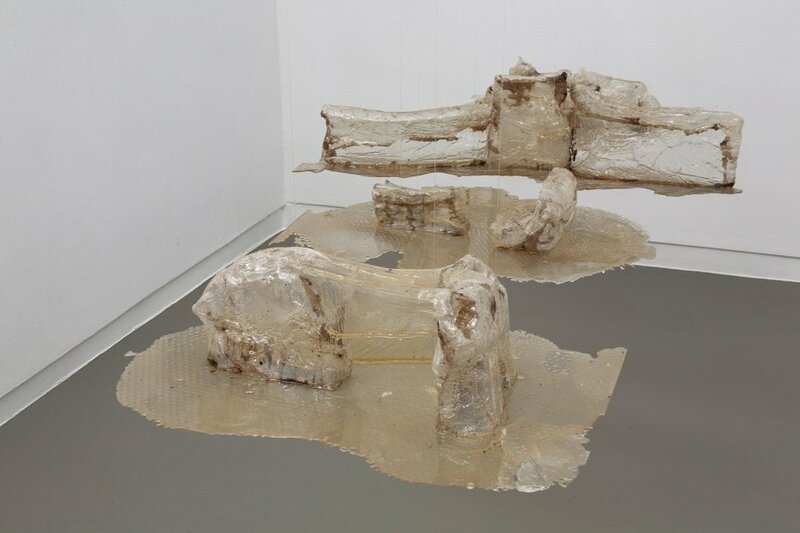 By Roger Hiorns (1975, Birmingham) we are showing Untitled (2011): an installation consisting four hanging resin sculptures. The resin shapes are made of incredibly thin, transparent plastic that have been applied . As in much of Hiorns's work, the sculptures become material expressions of anxiety, as the cold rationality of industrial production is held in uneasy balance with the unpredictability of natural processes. 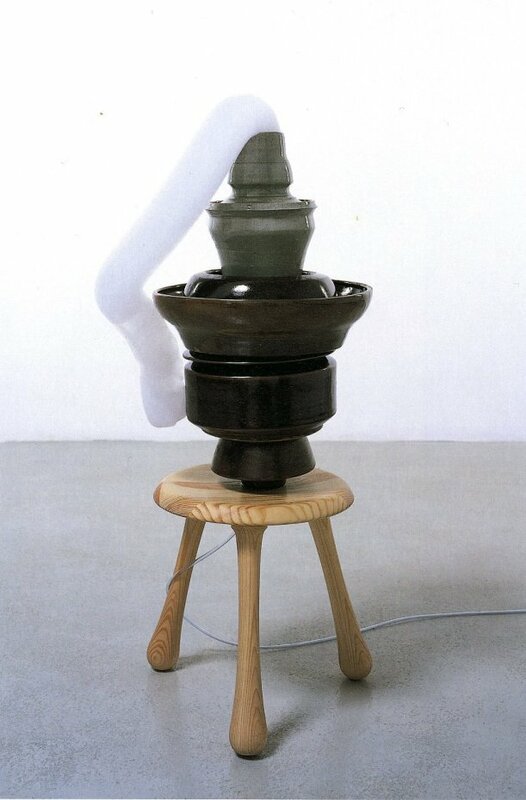 Hiorns makes objects that explore transformation, both material and perceptual, as he does in the ceramic foam piece Untitled (2005). On Saturdays we'll have a special video programme in the Bakery. Each Saturday a different artist is highlighted. The programme is as follows: February 4 Alicia Framis, February 11 Meiro Koizumi, February 18 Ed van der Elsken, February 25 David Maljkovic and March 3 Yael Bartana.